Join the elite forces of the Holiday Defense League as they valiantly struggle to save the most wonderful day of the year and try to solve the mystery: Why? Why? Why are killer robots from the future trying to ruin Christmas? 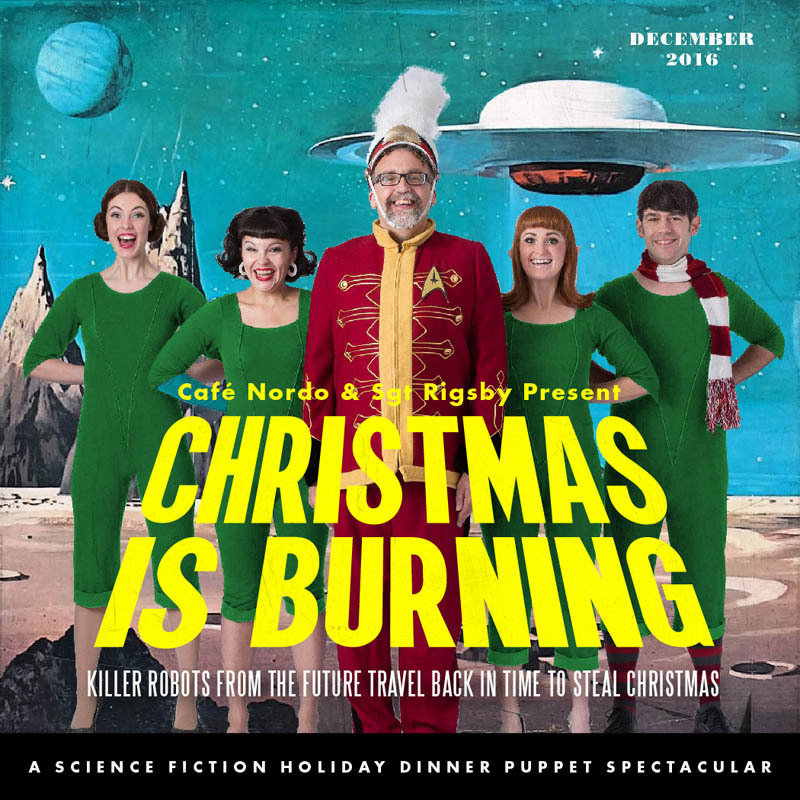 From the off-kilter mind of playwright and puppeteer Scot Augustson (AKA Sgt Rigsby) and the renowned and whimsical kitchens of Cafe Nordo comes the holiday show you were least expecting. Its Science Fiction! Its a heart-warming holiday tale! Its a tantalizing feast! 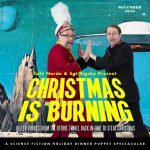 It’s Terminator meets Santa Claus is Coming to Town. Tagged cafe nordo, sgt rigsby and his amazing silhouettes, theater. Bookmark the permalink.